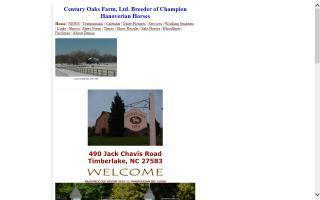 Hanoverian Breeders and Stallions Directory - O Horse! Top quality boarding, instruction, and training for sport horses on 200 acres in close in Poolesville, MD. All ages and abilities welcome. Eventing, dressage, and show jumping dedicated trainers and a family friendly environment. Horse sales and leasing available. Space available. 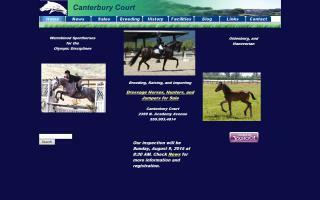 Private facility for breeding, raising, and training warmblood sporthorses. 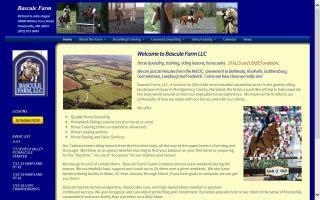 Small dressage oriented facility. Owner is a USDF L graduate of 15 years and a Bronze Medalist who offers private dressage lessons. Training methods based on positive reinforcement methods, kindness to the horses, and classical dressage. Century Oaks Farm is the home of Champions both in hand and under saddle. We have Grand Champions and a Devon winner. Denise has trained (started young horses) and competed successfully through fourth level dressage at the state and national levels in the open division. Lessons available to anyone who has a sincere interest in becoming a better rider and improving their relationship with their horse. We also breed Hanoverian sport horses for both jumping and dressage. Our bloodlines include some of Germany's best bloodlines, such as Donnerhall, Rubinstein, Bolero, Weltmeyer, Prince Thatch, and Grande. Several nice horses for sale - all ages and stages of training. We also offer boarding on a limited basis for interested clients and horses in training. 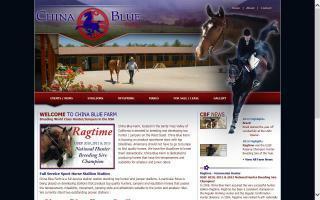 Breeding quality hunters / jumpers in Santa Ynez, California. 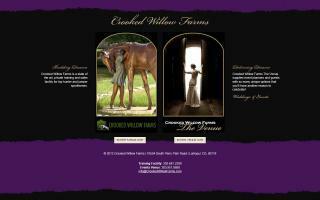 Crooked Willow Farms provides quality sport horse breeding stock and available sport horses in the United States and abroad. 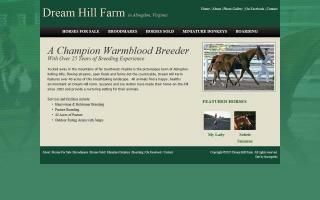 Breeders of champion warmblood horses in Abingdon, Virginia. 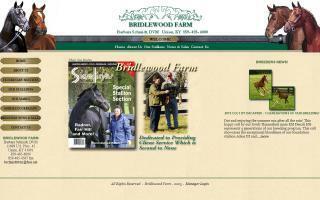 Small breeding farm specializing in breeding Oldenburgs and Hanoverians for dressage. Breeding some of the best lines of the Irish Sport Horse and Hanoverian Z lines. Exceptional horses with talent, scope and heart. Started green, then offered for sale to the professional or amateur who will take them to their potential. Give us a call to view our facility, brood mares and young horses ready to move on to achieve their potential. Breeders of premium quality Sport Horses. World-class bloodlines - predominantly dressage lines from proven sires and graded mares. Superb foals sold at weaning.